Here are just a few examples of interior layouts for fiction books. 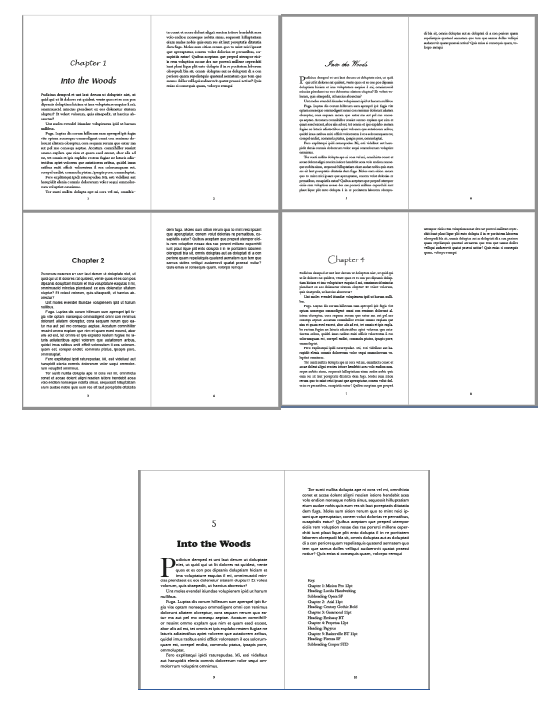 Options include positioning of page number, content and positioning of header, addition of drop caps or small capitals for the opening of the chapter. Options for children’s books include a wide variety of fonts and sizes, and different ways of positioning graphics within the text. Typesetting using InDesign, the industry-standard software, gives better control of hyphenation, spacing between letters and spacing on the page than is possible within word-processing software.